Australia's C.Y. O'Connor Horse and Rider is a monument to a famous engineer. A haunting monument in the waves. Charles Yelverton O’Connor was an Irish-born engineer who found his greatest achievements in Australia before tragically taking his own life. 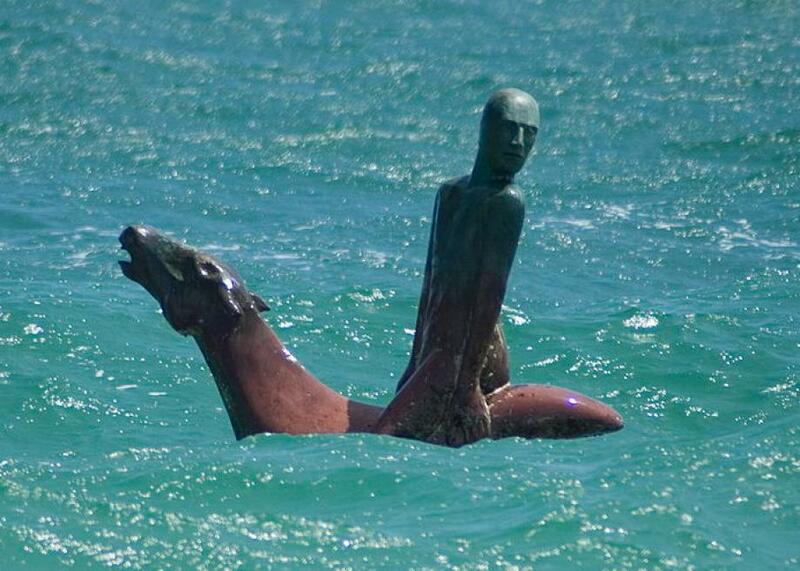 O’Connor’s life has been commemorated in monuments across Australia, but his death is remembered by a bronze horse and rider who peek out of the waves off the coast of the beach where he died. O’Connor became engineer-in-chief of Western Australia in 1891, and it was in this position that he would create his most well-known works. During his time in the job, O’Connor was responsible for the rails, roads, and harbors in Western Australia. While there, he created the Fremantle Harbor in 1903, which before his tenure had been seen as a fool’s errand. He also created the world’s longest water main, the Goldfields Water Supply Scheme, also completed in 1903, which continues to push water to remote western parts of the country. Both of these, his best known projects, as well as some smaller ones, continue to operate as central parts of the area’s infrastructure, proving O’Connor’s enduring prowess. Unfortunately, just a year after the completion of his greatest achievements in 1902, O’Connor took his own life by shooting himself while he rode his horse into the sea. He left a note that expressed his disappointment over how his projects were received, but no matter the reason, the man was dead. The beach on which O’Connor shot himself was eventually named after him, but off into the water lies the most haunting monument. Built in 1999, the statue known as “C.Y. O’Connor Horse and Rider” was created by local sculptor Toby Jones. Crafted out of bronze, the statue depicts an abstract figure of O’Connor on the back of his horse. The piece was installed about 65 feet out into the water, off the coast of the beach that still bears O’Connor’s name. From the shore, the two heads of the sculpture peek out of the waves like a forever-drowning sentinel, both tragic and everlasting.